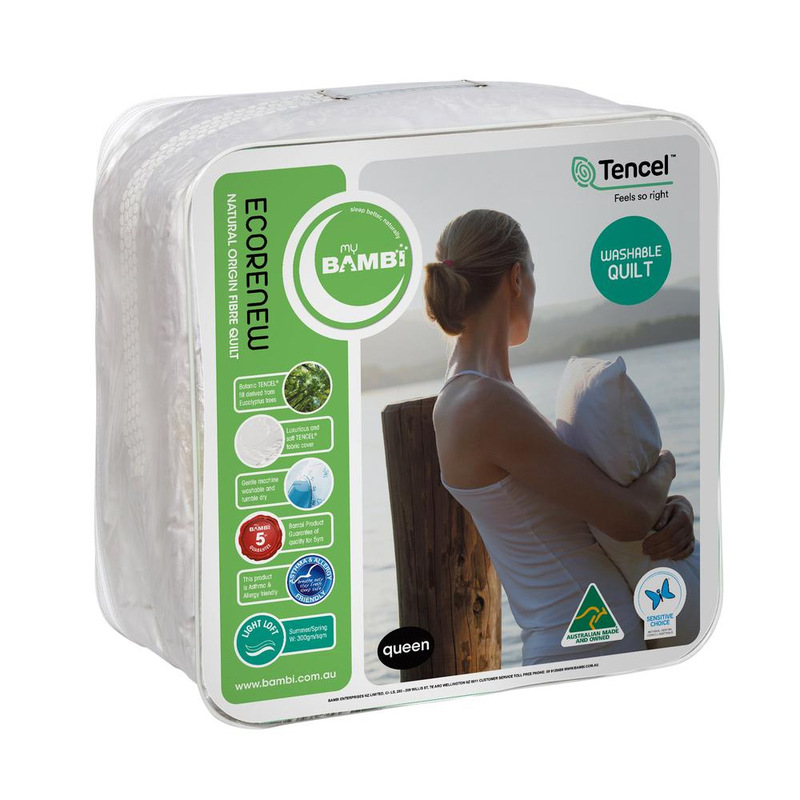 Send your spirit soaring night after night with this Eco Renew Tencel Quilt from Bambi. Featuring a botanic Tencel fill that’s derived from eucalyptus trees housed within a luxurious Tencel fabric cover, this quilt features a light loft construction, making it perfect for the warmer months of the year. Lightweight, breathable and incredibly soft, this quilt is perfect for asthma and allergy sufferers, helping you to breathe easy and sleep safely. Botanic Tencel fill is derived from eucalyptus trees. 300gm/sqm light loft – ideal for summer and spring. Gentle machine wash and tumble dry recommended.